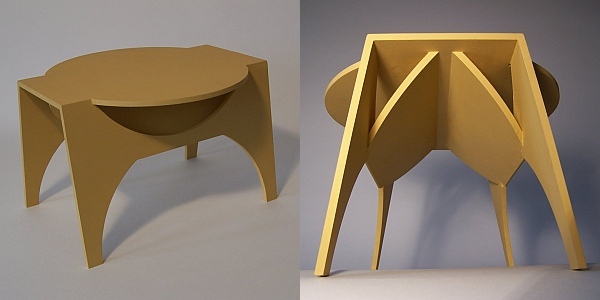 An interesting design exercise is to cut and fold furniture from one sheet of plywood. 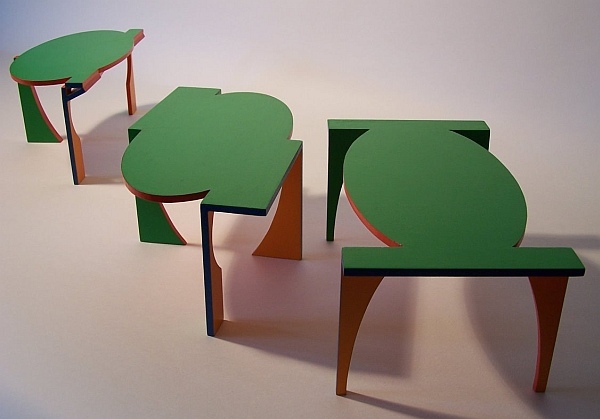 Peter Meijer has explored families of elliptical tables that are folded from exactly one rectangular sheet, with no unused remainder. In one family of experiments, he systematically varies the possible leg parameters, to search for optimal arrangements. Here are renderings of some of the elliptical table designs he found to be most promising. I’ll be curious to see someone actually make these. This article first appeared on Make: Online, March 7, 2011.